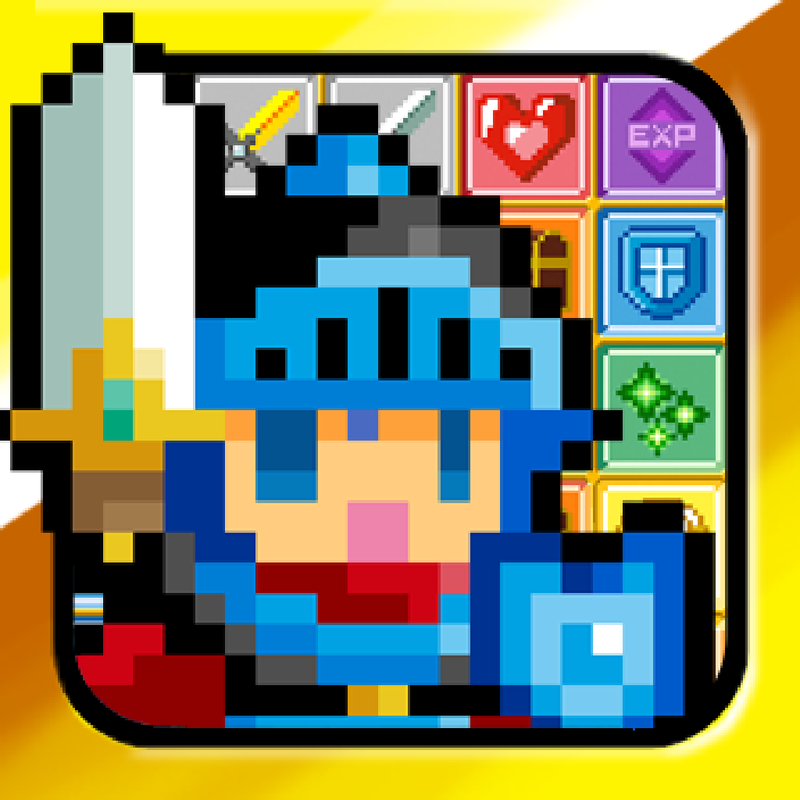 Block Legend ($1.99) by Alvin Phu is a retro roguelike puzzle JRPG. 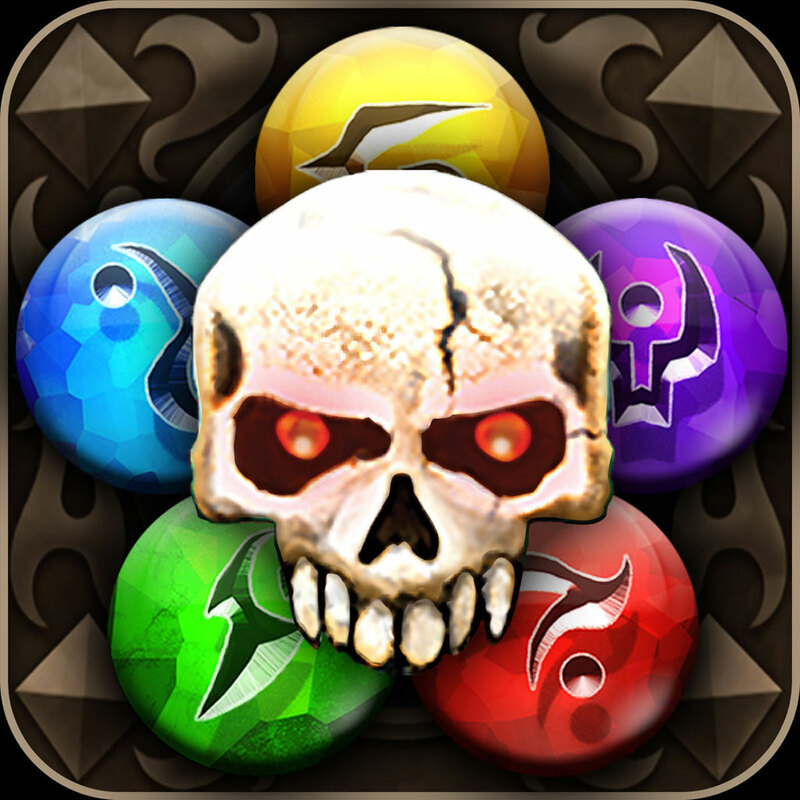 If you enjoy games like Puzzle Quest and the spinoffs, then you will really enjoy what Block Legend has to offer. 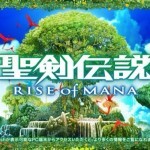 If you don’t know, two of my favorite things are Japanese RPGs (JRPGs) and puzzle games. I absolutely adore puzzle games on iOS, especially those of the match–3 variety. And JRPGs are a big favorite of mine, since there is always so much content, things to do, loot to find, and the training up to become the most powerful hero you can be — all of these are factors of why I enjoy the genre so much. And when you put them together, well, that’s a definite winner. 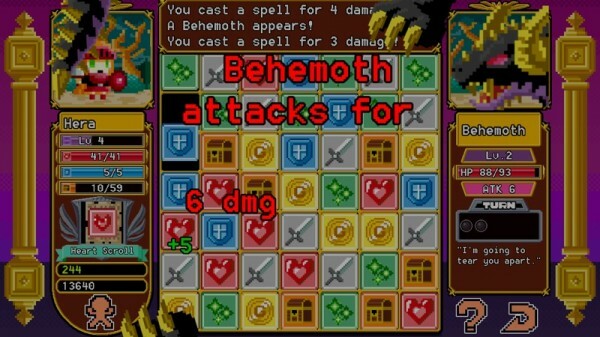 So that’s why I was ecstatic when I learned of Block Legend’s existence. 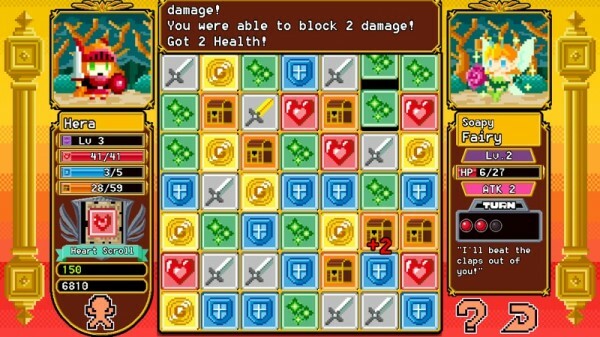 The visuals in Block Legend are an absolute delight if you’re a fan of the vintage 16-bit graphics from the golden age of gaming. Everything is colorful, vibrant, and the environments and characters are still incredibly detailed for being so pixelated. If you grew up on these games, then you should be overjoyed that such awesome visuals have the glorious chance to embrace your iOS screen, especially on Retina devices. 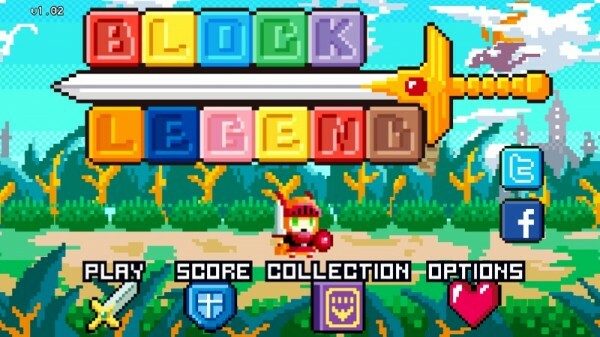 And if you’re a huge of fan of chiptunes, then great news — Block Legend features an amazing awesome chiptunes soundtrack that is heaven to the ears. Seriously, this is one of the best chiptune soundtracks I’ve heard in a game in quite some time. There are good chiptunes, and then there are great chiptunes. Block Legend falls into the latter. I could listen to these tunes all day, to be honest. 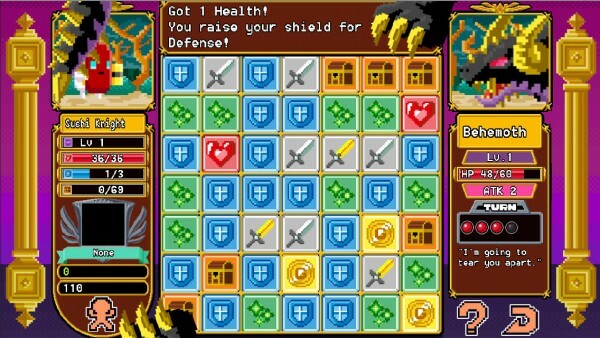 The game starts out with two basic knight-class characters, one male and the other female. You can choose whichever one you’d like to start with, but as you progress, you will unlock more class types with star blocks, such as the Salaryman, Basketball Player, Tony Meow, and many more. Each one will have their own strengths and weaknesses, so there is a lot of replay value as you discover these on your own through trial-and-error. 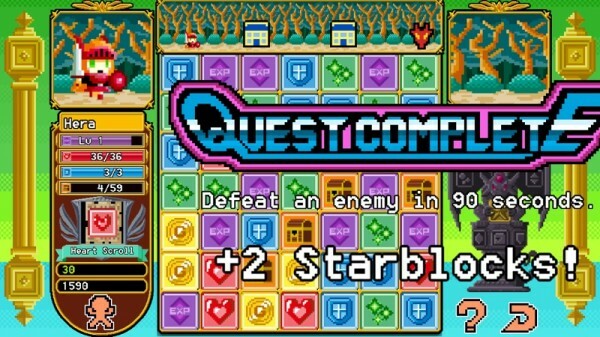 You start out with the forest level, but again, with the star blocks (which you obtain throughout the game by completing quests and killing bosses), you can unlock more areas for your enjoyment. Each area will have their own distinctive monsters and bosses, so it’s always going to be a different experience for each game. 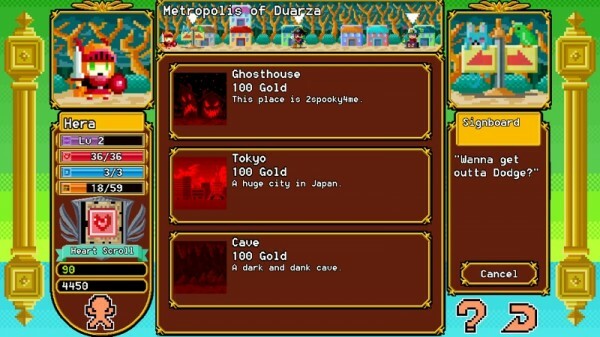 There are also randomized merchants along the way, who are able to sell you useful power-ups and equipment items for your journey. Make sure to use your gold coin wisely, and use the item at the right time for maximum effect. 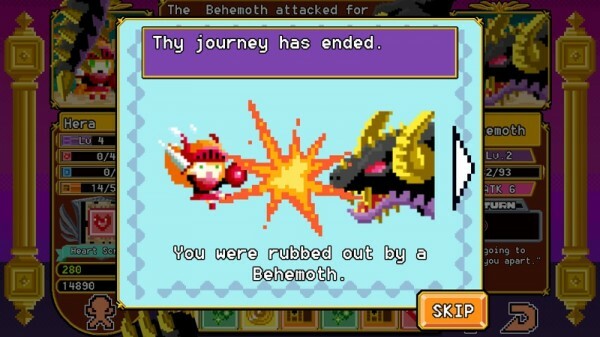 If not, you will need to spend star blocks to keep them for the next run. 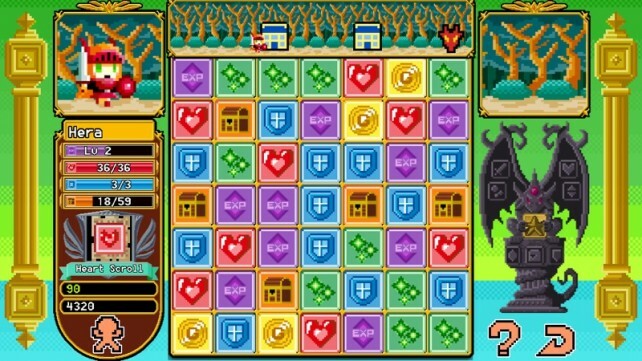 The gameplay of the game is simple enough. 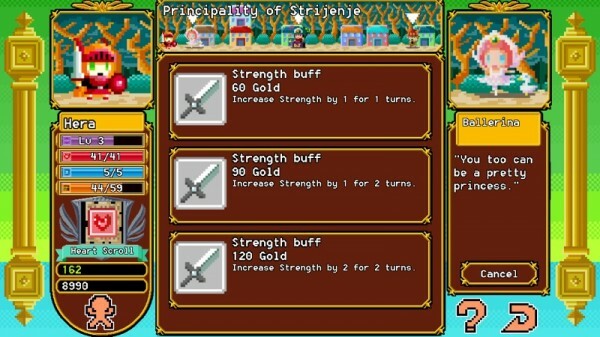 Your character will travel automatically, without needing any aid from you for the exploration. 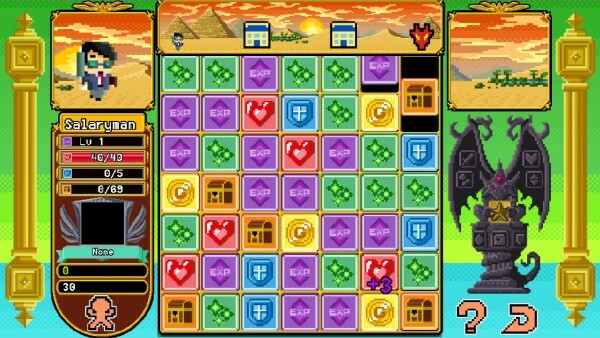 However, you will encounter random monsters and then boss battles, which will need your tile-matching skills to overcome. 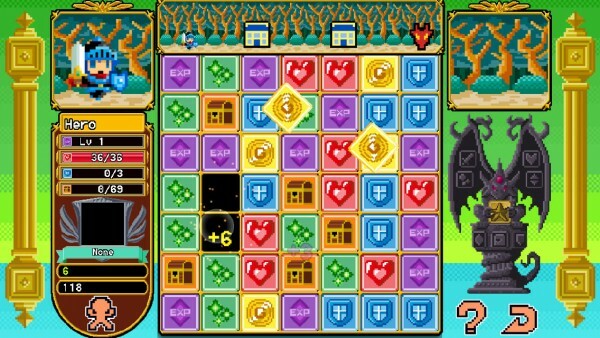 Just tap on groups of tiles on the grid (at least two to make a match) in order to collect treasure, gold, hearts for life, shields for defense, swords for attacking, and green stars for casting magic. You’re able to keep an eye on your character’s current stats on the left, while making sure that your opponent is nearing their end on the right. Once you emerge victorious from a battle, you’ll gain experience points and the swords will turn into experience blocks for you to collect. If you gain a level, you are given a point to distribute among your four attributes: Strength, Vitality, Agility, and Intelligence. 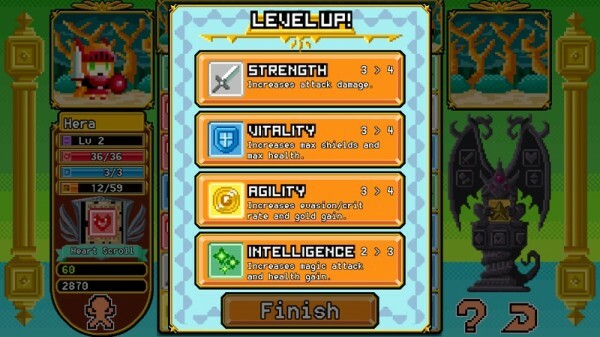 Putting these points in the right traits will definitely help you progress through the trickier enemies and boss fights. While it may seem pretty easy at first, it’s far from that. Yes, you can rapidly match a bunch of tiles for small advantages, but as you make matches, more tiles come in from the top. So you actually should plan out your matches, trying to get a large collection going so you can do some real damage to the enemy or gain a lot of health back. If you really want to be ahead of the game, well, you have to plan ahead. Block Legend also has another element to it that makes it a fun (or frustrating) experience. It’s a roguelike, meaning that once you are defeated, you will lose your progress, and have to start over from level one the next game. So if you are doing really well, make sure to keep it up, or all of your efforts will be gone. However, any items or equipment you found can be kept and used on the next run if you spend some star blocks. I’m really loving Block Legend so far, because the visuals and music take me back, and the gameplay is fast, hectic, and it’s all action-packed. And the best part is the fact that the game has absolutely no IAPs whatsoever, so what you get in the initial download is all there is to it. 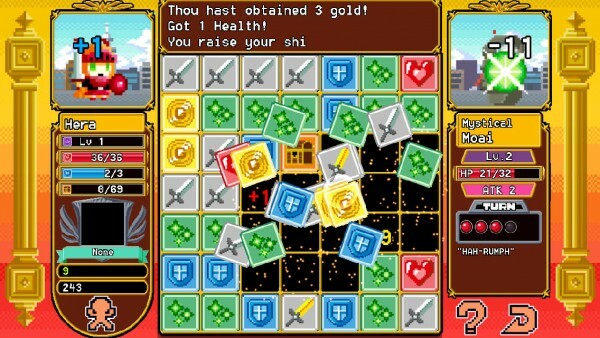 If you’re a fan of puzzle games, roguelikes, and JRPGs, then this is the perfect match. Plus, it has one of the best trailers around and is worth a watch. Catch the awesome trailer below, or view it here if you can’t see it. 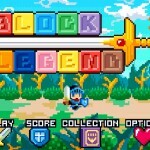 You can get Block Legend for yourself in the App Store as a universal download for $1.99.